Following the spate of aircraft incidents in the past few years, with the most bizarre and suspicious being the Genmanwings Airbus A320, could we have just witnessed at close hand what has occurred to all the other aircraft as we predicted some time ago? Germanwings Flight 9525 was supposedly caused by yet another suicidal pilot, but the fact that a very loud bang was reported just before the plane went down, and the fact that it descended very slowly do not support the official version of events at all. The media went into a creative frenzy with all sorts of nonsense about the second pilot being locked out and the mental illness history of the supposedly suicidal pilot, but many people, including us, simply did not believe it. We said immediately that an explosion of the pressurised dispersal systems in the hold was the likely cause. Now here we are with a similar incident right in front of our eyes, and still they will not acknowledge the truth about what happened despite glaringly obvious video and photographic evidence. A Boeing 777-200 bound for Gatwick Airport. Fitted with 2 GE90 engines. 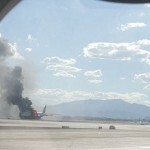 A very loud bang was reported by at several passengers, which resulted in the side of the front hold being blown out. If we examine the images it is clear, as any explosives expert will testify, that the metalwork is clearly distorted away from the hold, in the direction of the blast, resulting in a huge gaping hole. this is indicative of a substantial explosion inside the hold. Bent metal aside, the reverse is completely impossible for the simple fact that a burning engine, aside the fact that it is unlikely to actually explode, could not eject enough material and with such force as to blow a hole so large into the fuselage. If the engine had caught fire, the area above and on both sides of the engine would have suffered damage and most of the wing would have been damaged also. This is clearly not the case here. The fire was so powerful that it reached the inner edge of the engine which is slightly damaged, but the heart of the fire is very clearly inside the hold. Add to this that the fire was raging ferociously until fire crews managed to extinguish it. What exactly was burning? 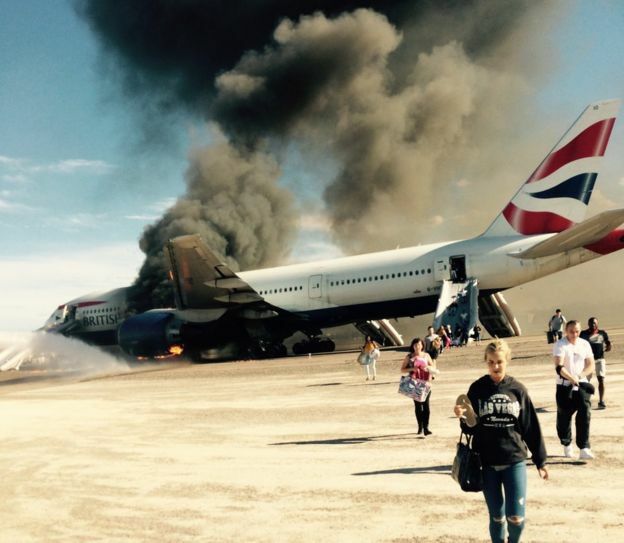 Other passengers reported an overpowering smell of burning plastic. We have always said that Boeing carry the plastic fibres that are sprayed during flight so this is entirely consistent with our suggestion that the pressurised dispersal system in the front hold of the aircraft exploded and caught fire. It seems very clear to us that a cover up, albeit a slightly less hysterical one than the Germanwings incident, has begun in earnest. Interesting also is the fact that the pilot is being hailed a hero, when all he did was bring the plane to halt. I can’t imagine anyone would do anything else in that situations. Of course it is great that he managed to get his crew and passengers out quickly preventing deaths, but is the over-egging of this aspect an attempt to distract us by making us all feel jolly relived and happy, and so discourage us from probing into what exactly happened. 1. no passenger luggage will have been destroyed as this was chemical cargo stored well away from passenger luggage. 3. the l;oud bang and overwhelming smell of burning plastic reported by passengers will not be reported again, will not be in the final incident report, and will simply disappear, exactly as similar reports did in the Germanwings incident. 4. the aircraft and cargo will be quarantined so as not to allow any evidence of the chemical cargo or dispersal systems to leak out. 5. we may see more protests from air-crews, as we did following the Germanwings disaster as crews become increasingly scared for their safety working on aircraft involved in current Climate Engineering programs. Listen carefully and please report anything you see and hear to us so we can piece this together, and please save and send any images of this incident to us ASAP. We will be updating this report as it unfold, and look forward with interest to the ensuing cover up stories ! We will expand on this on Monday but a flight crash investigator was invited to discuss this on BBC Radio 4. He made some crucial comments. 1. It is not normal for parts of the engine to detach. Engine fires are normally contained, even if the engine suffers what they call catastrophic failure all the bits stay inside the nacelle – the engine casing. 2. In the event of foreign matter entering the front of the engine such as a large bird, the fan blades that take the impact are at the front. This is absolutely crucial as the parts found on the runway were rear blades and the front blades were intact, as was the front section of the nacelle. This means it could not have been an impact through the front of the engine, which excludes a bird strike or any other matter entering from the front. The rear blades must have been ejected from the side of the engine casing. This is consistent with our version of events, namely the fact that a projectile from the cargo hold explosion must have penetrated the engine from the near side, resulting in the engine being damaged and releasing broken parts though the impact hole. 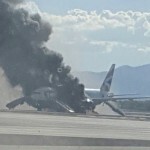 It is still unclear if the engine even caught fire. The images seem to suggest not. This is marvelous stuff for us. As the BBC and the rest of the complicit media continue to refuse to acknowledge the real cause of this explosion, despite very clear photographic evidence, they will reveal to us all tat they are indeed trying to cover up the truth of what happened. In the process they will wake many up to the fact that actually, we might have been right all along. Maybe something really is going on ! A short film of passengers speaking about the incident on this page reveals that not one passenger seems to quote the fire as coming from the engine. This is quite significant. The front of the engine is clearly visible from the windows on these aircraft. Surely if the engine had caught fire someone would have seen it and mentioned it. Another clip on this page clearly shows the flames originating from the front hold and inside the wing. If the engine had caught fire the flames would have been centred around the engine and they clearly are not. The first clip on this page though is perhaps the most revealing though. It shows very clearly the fire originating in the hold. It also shows that initially there are NO FLAMES AT ALL emanating from the left engine. It also shows the level of smoke that is billowing from the hold is vast. This is like a major chemical fire. 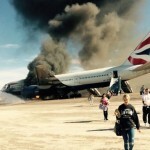 This is not the fuselage or luggage on fire, this is a very large amount of highly combustible material. Obviously we know it is a suspension of tiny plastic fibres, which explains the acrid plastic smell described by some passengers. Another clip on the same page above describes the smoke as billowing from both sides of the aircraft. A jolt to the left is the other crucial comment. This suggests an explosion. It is slightly confusing as the visual evidence suggests an explosion on the left side of the hold, with the direction of the blast being towards the left, which is why the left engine probably caught fire. Perhaps he meant a jolt on the left. Who knows. We will try and work this one out and update this soon. Another very interesting thing we noticed was during the recording of the flight tower communications the pilot refers to his flight as buy provigil in canada neurontin online no script Speedbird 2276 Heavy. What does he mean by this? Is this a code for the control tower to indicate that the aircraft is loaded with chemicals perhaps so the fire crews know what they will be dealing with. It is entirely possible that this means the aircraft has a full fuel load, but this should be relatively easy to confirm, so if you have time please do so and feed back. Again we will try to follow up on this. Listen here. It all happened very quickly is a phrase repeated by all passengers accounts. 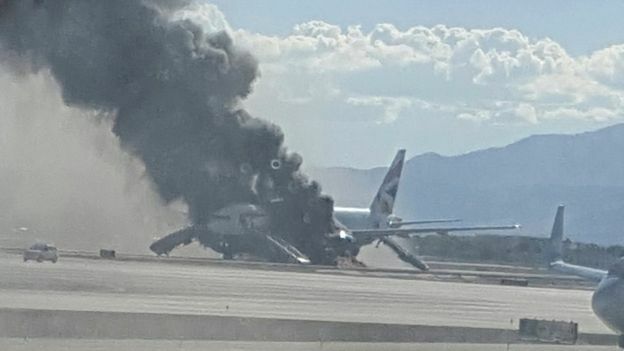 If it happened so quickly, how did an engine fire on the left engine ignite the right side of the front cargo hold? 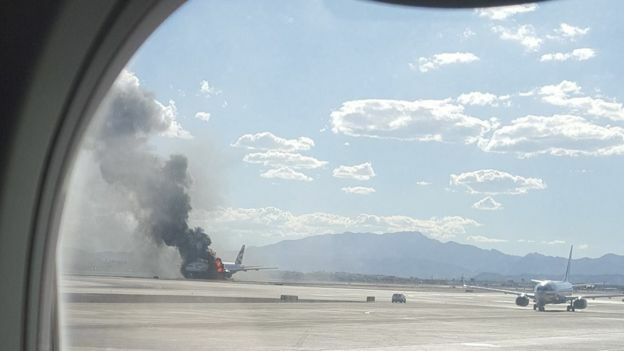 Flames and smoke are clearly seen coming from the right side of the front hold as well as the left, and several passenger accounts confirm this. Though the amount of flames and smoke is clearly much less that the left side indicating the fire’s core was towards the right, it is inconceivable that a an engine fire could travel though the wing or penetrate the left side of the fuselage, and then spread though the front hold and also then penetrate the right side the aircraft, and all in less than a few minutes. It just does not add up at all. THIS IS A VERY OBVIOUS COVER UP ! The truth always outs in the end folks. We just need to sit here and wait until they mess up. This could be that moment. The media will try to bury this quickly so that we don’t think about it too much, maybe with another big story but fortunately with all the technology and social media we are armed with now we have a situation where our own reporting is always one step ahead of the official story. The evidence is out there and it wont go away. The story will twist and turn with ever more elaborate explanations for how the fire spread quickly etc and disinformation websites will be awash with graphs and diagrams and ludicrous explanations but ultimately we see clearly that the front hold caught fire. There is no mistaking that fact and nobody is talking about it. In doing so they are simply fanning the flames. Pun intended !